While serving as the United States Ambassador to Italy from 1989 to 1993, Ambassador Peter F. Secchia came in contact with countless college students who were traveling to Italy for their first time. 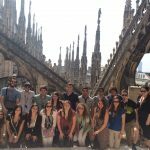 Witnessing their reactions, he was deeply moved by the look that he saw on so many young Italian American students’ faces when they first experienced the wonder that Italy has to offer. 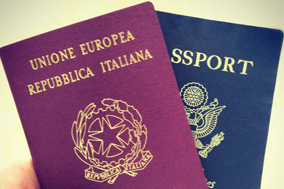 Recognizing the lifelong impact that a trip to Italy has on these students’ identities, in 1999 Ambassador Secchia proposed that the National Italian American Foundation create a program to send young Italian American students on their first trip to Italy so they could truly explore their heritage and experience the land of their ancestors. 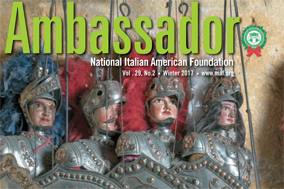 In 2001, the National Italian American Foundation with the generous financial support of Ambassador Secchia launched the Ambassador Peter F. Secchia Gift of Discovery program and sent 120 young Italian Americans to Italy for the first time. 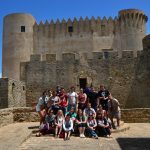 The program began with four trips for Italian American students to either northern or southern Italy to help them bond with the country of their ancestors, cultivate a deeper appreciation for their roots and create a desire to preserve and protect their heritage for generations to come. 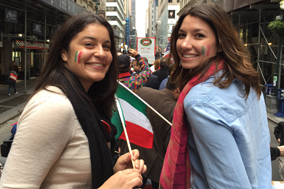 In addition to sending Italian American students to Italy, in its first year, NIAF and Ambassador Secchia funded a trip for a group of 40 Italian students to cities in the United States like New York, Washington, D.C., Philadelphia and Providence, Rhode Island. During this trip, the Italian students learned about the profound impact that Italian Americans have made in the United States since the arrival of the first Italian immigrants. The trip immediately became one of NIAF’s most popular and competitive programs sending almost 1000 Italian American students on their first trip to the Bel Paese since the program’s inception. Since then, the trip was renamed in 2007 from the Gift of Discovery which consisted of a 10 day all expenses paid trip to Italy to the evolved two week long program, Voyage of Discovery. 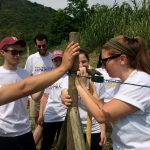 During the 2013 trip to Campania, NIAF staff began incorporating a day of service in the itinerary so the students had the opportunity to give back to the culture that has provided them with so much. 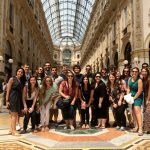 In recent years, after choosing from the 200-400 applications that we received every year, the Foundation sends ten female and ten male college students on a fourteen day trip of a lifetime to explore the intricacies of the multifaceted Italian culture. Every year, the Voyage of Discovery takes place in NIAF’s Region of Honor, which is chosen annually. 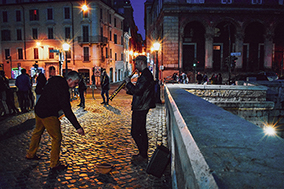 Once they have arrived in Italy accompanied by NIAF staff, the students travel to large, well known cities as well as experience the lesser known but equally as fascinating culturally rich small towns. 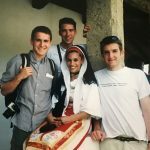 Between the intimate tours of local attractions, meeting with Italian business leaders and government officials and the unique opportunity to perform service projects in Italy, the Voyage of Discovery is sure to be one of the most memorable experiences of a young Italian American’s life!